Drawing from over twenty years of experience in the performing world, Angela offers a comprehensive consultation service in her studio in Newton, Massachusetts for all parts of the audition process for singers, including coachings, resume consultations, bio writing and resume formatting for both professionals and students in the greater Boston area. 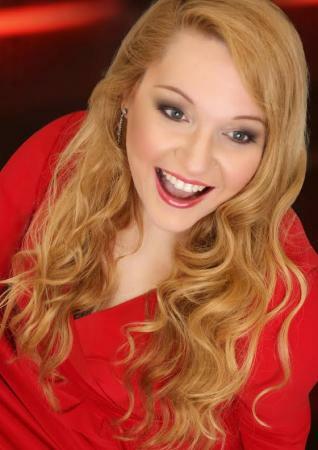 Angela specializes in opera, operetta and musical theatre. "Singing for people who are seeing and hearing you for the first time is always different from singing for people who know you well. Voice teachers and coaches who know your progress won't necessarily experience your singing the way first-time listeners do. I won't touch your technique or interfere with your teacher's vocal plan: we'll talk about where you are right now, what you do best, what to capitalize on, repertoire options, presentation, character, energy, story-telling, and body awareness. The more information you have, the more you can find your own optimal path." First Impressions Coaching: In one-on-one sessions personalized to a singer's needs, the audition experience is recreated in order to find possible areas of improvement in presentation, repertoire, and etiquette. The singer will receive candid, real-time, sensitive feedback to help improve audition results and go to the next level. College Admissions Coaching: Young performers hoping for conservatory admission will gain valuable insight about the auditions process. In personalized training sessions, young singers will learn what conservatories and music programs are looking for and how to impress them at a live audition. Brush-Up Coaching: Experienced singers looking for fresh perspective on existing audition sets will receive respectful feedback from new eyes in order to optimize audition strategy and presentation. Resume Consultations: Personalized sessions are available to go over a resume line by line to discuss options for structure and formatting in order to bring out a singer's greatest strengths. Resume Assembly and Formatting and Bio Writing services are also available. Coachings last from 1/2 hour to 2 hours, depending on materials covered. Accompanist available. Rates vary from $25 to $200 depending on individual needs and length of session. Contact Angela for availability and quotes.